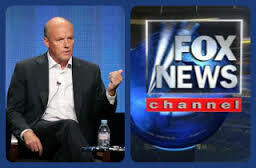 MSNBC chief Phil Griffin laid into Fox News for skipping President Obama’s gun control speech on Wednesday. I still cannot understand why anyone of sound mind would even watch MSNBC. I guess the people of this country will eventually wake up and realize that socialism is really a failed concept and unfortunately, when this happens, it will be too late for the United States. The Five was not doing it's regular "round table" The Five team was covering up to the minute coverage of the Boston Bombing. The gun control bill was known to be a failure days previous. Obama tirade not news.